Timothy Hyde will solve your Conference & Event puzzles. As an MC, Entertainer, Speaker or Workshop Facilitator. Or use him, as many clients do, for several of these functions at the one event! Timothy is one of Australia’s busiest and most accomplished Corporate MC’s. 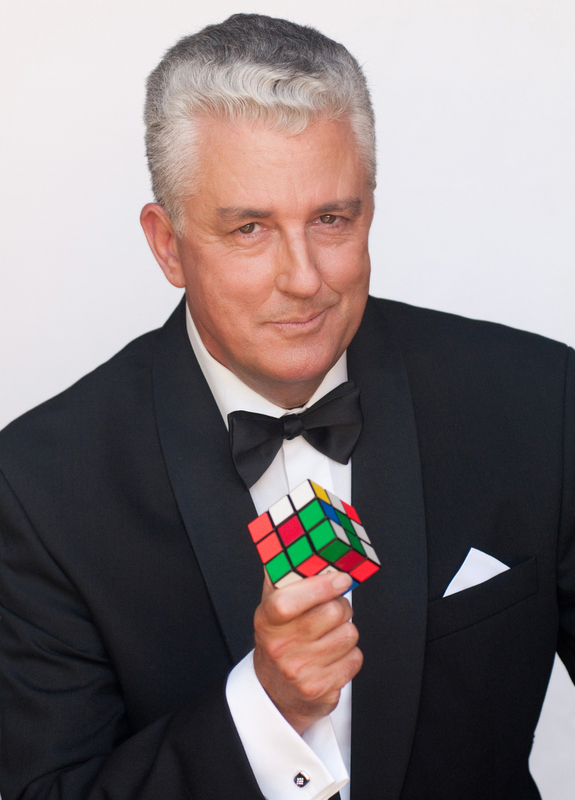 His unique style and abilities has seen him engaged to be the MC at 36 Major Project events around Australia for ExpoTrade. GDS International used him for 18 Executive Summits throughout South East Asia. As well as running annual conferences for local corporate and association groups, many have seen the value in taking him with them when they conference overseas. He has facilitated events in – Hawaii, South Africa, Cambodia, Hong Kong and New Zealand. But it’s not just Corporate! Timothy is increasingly being used at high profile community and festival events including MC’ing the prestigious Blue Mountains Music Festival for several years, Rylstone’s “Long Lunch” and Lithgow Halloween. With a background in Show Business he will bring some much needed Pizazz to your event! As a Comedy Mentalist he still performs on many of the highest ranked Cruise Lines in the world entertaining their high end clients. He’s been engaged on Crystal, Silversea, Cunard & P&O UK all over the world. As a Speaker or Workshop Facilitator he can inspire and challenge your delegates with his dynamic Keynotes and hands-on Creativity/Teambuilding workshops. He’s a great way to kickoff or close any event. His peers also regard him as at the top of his game! He has been chosen by the National Speakers Association of Australia to be an MC at their annual convention every year 2003 – 2010, he’s lectured and performed at the famed Meeting of the Minds in the USA and has published a best-selling series of books for professional performers. Please follow the links above to learn more about – MC Services, Clients, Show, or the Keynote /Workshop. You can view a series of Online Videos . Timothy Hyde – The one stop solution for your next conference.